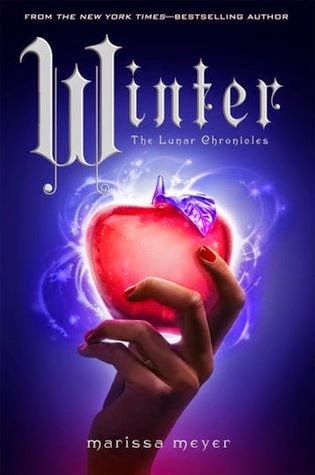 When Princess Winter was thirteen, the rumor around the Lunar court was that her glamour would soon be even more breathtaking than that of her stepmother, Queen Levana. In a fit of jealousy, Levana disfigured Winter. Four years later, Winter has sworn off the use of her glamour altogether. Despite her scars, Winter's natural beauty, her grace, and her gentleness are winning admiration from he Lunar people that no amount of mind-control could achieve. Can Cinder, Prince Kai, Scarlet, Wolf, Cress, Thorne, Princess Winter, and the palace guard Jacin find their happily ever afters? Even though I haven't finished Cress quite yet, I'm still super excited for this cover reveal and conclusion. It's gorgeous! And fits so well with the others. The 800 pages thing really makes me hesitant, but I can do it. Yes. I can. It might take me an exceptionally long time, but it will be done. I've loved the series and can't wait to see how Meyer pulls it all together!